Many of the things we think we know about investing are wrong. But we do know one thing with near certainty. The answer to almost every question is “it depends” and that is true even when we think we know the answer. For example, there is a very unpopular investment that could actually be right for you according to a number of very talented economists. But this investment is absolutely wrong for many investors. Let’s start there. You probably don’t need this investment if you have a pension that, along with Social Security, meets most of their retirement income needs or you are wealthy enough to not be worried about running out of money, even if their retirement exceeds 50 years. That’s the conclusion of York University finance professor Moshe Milevsky. You may have heard the stories of how groups of veterans from both World Wars and other made pacts during their service. They would give a bottle of whiskey or some other valued prize to the last survivor. These were an example of a tontine. This concept, according to Blair duQuesnay of Ritholtz Wealth Management, “is older than the stock market. 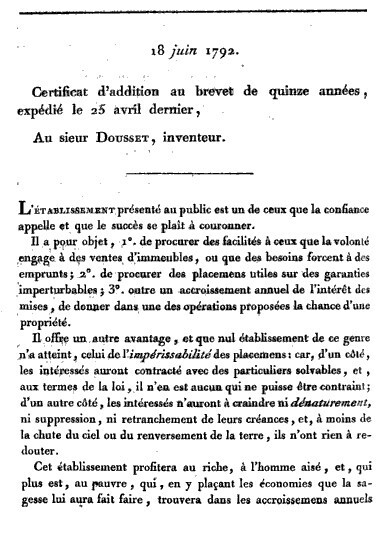 In the late 17th century, an Italian banker living in France, developed a scheme that paid annual dividends to a pool of investors. As individuals in the group died, the surviving members received the deceased member’s share of dividends. The scheme was named a tontine, after the banker whose name was Lorenzo de Tonti. Modern insurance companies are following a similar structure by selling annuities pools of investors. Each individual stands to receive a higher lifetime income than they would from a standalone investment because some investors in the pool will die sooner, creating what are called “mortality credits” for the rest of the pool. That last part is very important. There are conflicts of interest possible in these products which can pay very large commissions. The commissions are often built into the product’s price and are therefore less transparent than other costs associated with financial products. But the idea is very old and was patented in 1792. “Income annuities…haven’t been popular outside of policy and academic circles. They account for just 5% of the $203.5 billion in total annuity sales last year, according to LIMRA Secure Retirement Institute. Mention annuities and people think complexity, opacity, and high costs. That’s in large part because the more popular annuities offer variable (rather than set) income, and come with enticements like guaranteed minimum benefits, payouts linked to an index, or cash refunds—perks that can carry a high cost. 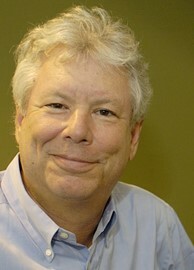 Thaler has made a career and won a Nobel prize for studying why investors take actions against their own best interests. His work is always worth studying. Less than 10% of 401(k) plans, however, offer any sort of annuity option, according to an annual survey by the Plan Sponsor Council of America. If it’s not on your menu of options, Milevsky recommends talking to a plan sponsor or administrator, and/or buying it through an individual retirement account. Most retirement experts recommend putting no more than a quarter of savings into an income annuity. It’s also worth talking to a financial advisor on whether to use pre- or after-tax income to purchase them; each potential buyer’s situation is different. A deferred income annuity offers the most for your money because it affords a bigger payout from “mortality credits.” These accrue as insurers pool assets of investors, some of whom will die before receiving any income. Milevsky recommends beginning to buy the initial tranche of annuities—say about $50,000 worth—10 or 15 years before you might need to draw on the income, and purchasing more as needed, as you find yourself spending more or are in better health than you anticipated. “That way, you learn the sweet spot of what you need. As retirement evolves and you realize you are spending more than you thought, you can get more [coverage],” Milevsky adds. Several carriers, including Nationwide, AIG, and Lincoln Financial Group, offer low-cost, simple income annuities. Pricing varies but currently low-cost or institutionally-priced simple annuities can pay out 6% more, on average, and that is more than is available in fixed income investments with less risk than in the stock market. “Currently, a 65-year-old man can buy a $50,000 deferred single life income annuity that pays out $605 a month, starting at 75 ($562 for a woman). Buying that annuity at 55 and having it start at 80 would more than double the payout to $1,257 a month for the man and $1,140 for the woman, according to the Hueler Cos. Typically, the most basic annuities offer the biggest payouts. At the moment, a 55-year-old can get $1,380 in monthly income, starting at 80 and also get an extra 10-year-fixed feature that allows for his beneficiary to continue getting the monthly payment if the annuitant dies within 10 years of the payment starting. Now, this may not be the best investment option for you. Even if an annuity is right for you, there are many products available that are not right for you. Buying an annuity requires research and the ability to find the lowest cost and best returns. But, the effort could be worth the price.